Remember: Your Emergency Dentist in Memorial, TX is Always Ready! Dr. Gray and Dr. Newman believe that a dental emergency needs to be treated quickly and with the greatest of care and compassion. We know how nerve-wracking an emergency can be. That’s why we do our very best to make sure you are seen the same day, so we can eliminate any pain and relieve your worries. If you or a loved one has just had an accident that has resulted in a dental or mouth injury, contact the emergency dentist in Memorial, TX. Whether you are a patient of record or you’re in the Houston area on a business or pleasure trip, we’re here to help you. The closest hospital E.R. will not likely be able to address your dental. Therefore, always be sure to have the name of a local emergency dentist handy when you’re on vacation. When you are in the midst of a dental emergency, remembering what to do can be something of a challenge. Here’s a reminder—stay calm and call the dentist. Take a moment to collect your thoughts and then contact Mark Gray, DDS. One of our helpful staff will be able to squeeze you in to our daily schedule and offer advice on what to do while you’re on the way to our office. Next, you need to stop the bleeding. As with a medical emergency, stopping excessive bleeding is critical. Using a clean cloth or gauze pad, apply firm but gentle pressure to the point of bleeding. This should stop or at least significantly slow the flow of blood. If not, then head to the nearest hospital emergency room for treatment. 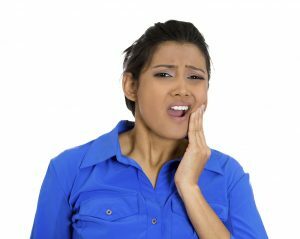 Other circumstances that warrant seeing the dentist as soon as possible include treatment for a severe toothache that may require a root canal; a missing dental crown or broken filling that exposes sensitive tooth structure; and a broken denture that leaves you unable to chew. If you are experiencing a dental emergency, or need advice on how to handle a particular dental situation, please don’t hesitate to call our office. Dr. Gray, Dr. Newman or one of the staff will glad to help. Comments Off on Remember: Your Emergency Dentist in Memorial, TX is Always Ready!